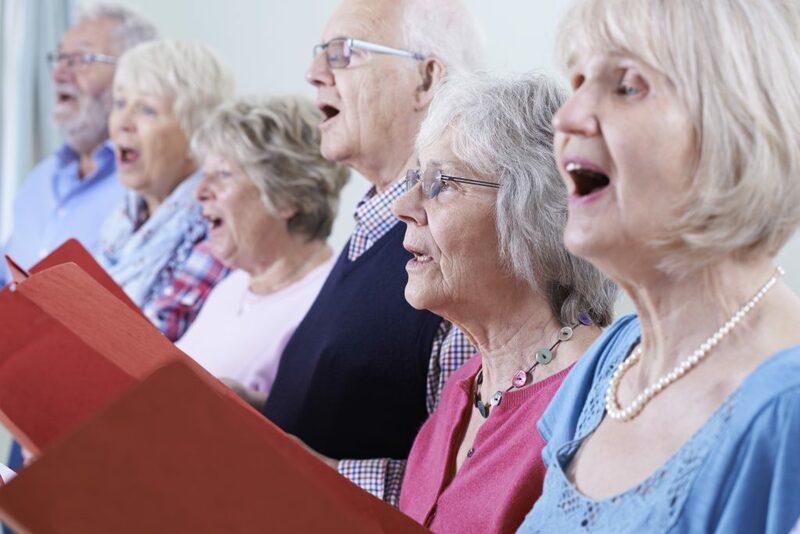 So it’s no surprise that a recent study in The Journals of Gerontology found that community choirs reduce loneliness and increase interest in life among older adults. The study included 390 people who sang together weekly in 90-minute sessions and performed publicly three or four times. While previous studies have examined the benefits of group singing, as an effective way to forge feelings of connection and inclusion, this one focused on people with a median age of 70. The power of participating in a choir may stem from two sources—the sense of community and the music itself says Stephen M. Scheinthal, DO, a gerontologist at Rowan University in New Jersey. We know that loneliness in older adults is linked to declines in cognitive ability, function, and motor skills. We now understand that participation in cognitive leisure activities, such as singing groups can offset those declines. So why do choirs offer greater psychological benefits than other types of group activities? Add to this the fact that community choirs are not expensive and can be tailored to the musical tastes of a group and are easy to access—with almost all interested parties to join. Of course, not everyone likes to sing. The good news is that other arts-based activities may offer similar benefits. A review developed by The Baring Foundation found that mental wellbeing, increased confidence and self esteem amongst participants were benefits of participatory art engagement. The review suggests that it is evident that engaging with participatory art can improve the wellbeing of older people and mediate against the negative effects of becoming older. However when it comes to physical wellbeing, particular art forms may lend themselves more than others to significant physical health improvements (such as cardio- vascular, joint mobility and breathing control). These include dance, singing and playing musical instruments. The study found that, compared to people in a control group, participants reported better health, fewer doctors’ visits, less use of medication, better mental health, and more involvement in activities.